Congratulations to the Purchaser and Vendor of this property in NORTH WAY, SEAFORD. A spacious detached family home backing westerly in this sought after residential area approximately 1.5 miles from Seaford town centre and railway station. 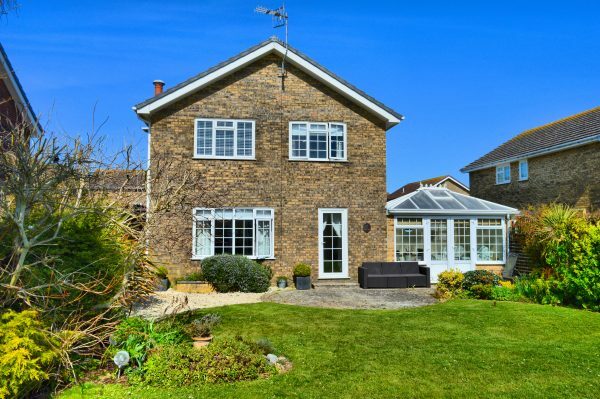 Situated near to local school and Seaford golf course. The ground floor offers versatile accommodation with excellent size kitchen/diner and west aspect lounge that opens onto both conservatory and rear garden. The first floor accommodation has four good sized bedrooms, refitted en suite to master bedroom and matching refitted family bathroom. Other benefits include ground floor cloakroom, gas central heating, uPVC double glazing and attractive rear garden. There is off road parking and a garage with power and light.